Happy New Month beautiful ones, hope you have had a wonderful week. I have had a pretty good week, everything was not perfect but I am grateful for all the blessings in my life. God willing by this time next week I will be in France with the family and I can't wait for some Sun, Fun and Family time. I don't know about you but I always try to eat healthy before a holiday...you know to look great in my swimsuit but when I get to the airport the healthy eating goes out the window. I tend to succumb to the airport food naughtiness; vending machine salted peanuts, M&Ms, sodas and even restaurant food then arrive at my destination feeling bloated and uncomfortable in my bathing suit. 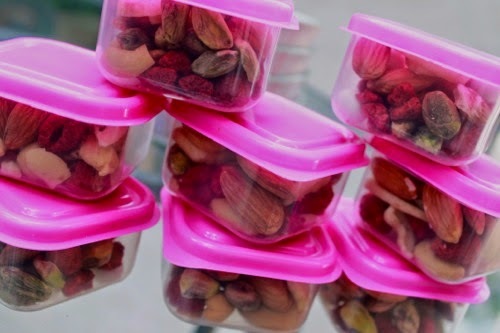 I have also found that being prepared with healthy alternatives really helps you resist the naughty food temptations and have you bikini ready when you reach your destination. Today I will be sharing some of my favourite travel snacks. 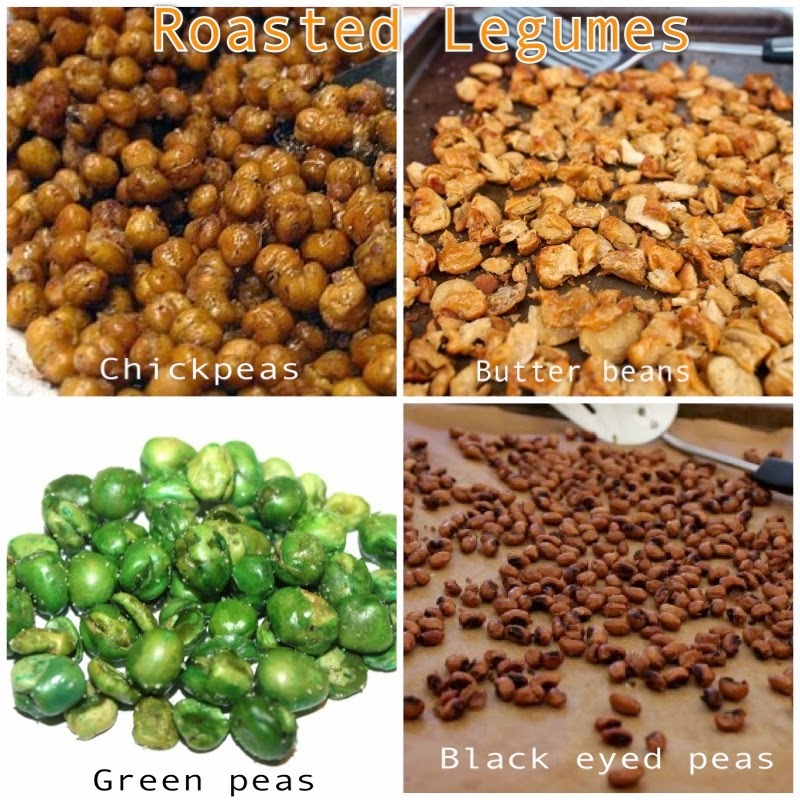 Legumes are great source of complex carbohydrates, protein and fibre and are a highly satiating food. This means that for a relatively low amount of calories legumes make you feel fuller longer and, therefore, help prevent the hunger that can lead to unhealthy snacking and unwanted pounds which makes it the perfect snack when travelling. Spread out on a large cookie sheet. This recipe works for canned chickpeas, Garbanzo beans, black eyed peas or any other legumes; if not canned soak for a minimum of 6hours. Trail mix is one of my favourite snacks, the reason I went with home-made instead of store bought is all the added sugar and preservatives( you'd be surprised). 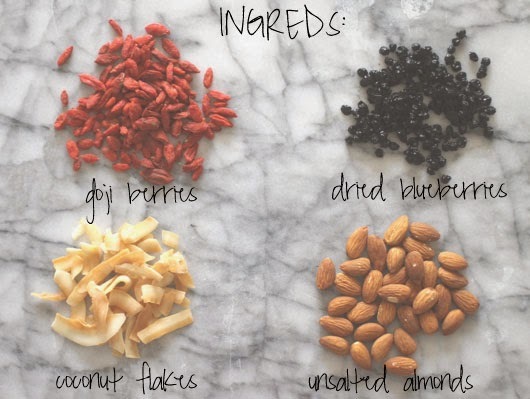 Making your own trail mix is the easiest thing ever all you need is 2 types of dried fruits and 2 types of nut thats all! Trail mixes are good for your but could be highly calorific so I like to make 25grams portions/100cals and store in one of the plastic containers(Poundland sells these 8 in a pack). Every time I have made these, they have not lasted more than 5 minutes. They smell sooooo good and boy are they tasty, they are also super easy to make. Using a sharp knife or mandolin, slice apples thinly. Prepare a baking sheet with parchment paper and arrange apple slices on it without overlapping. 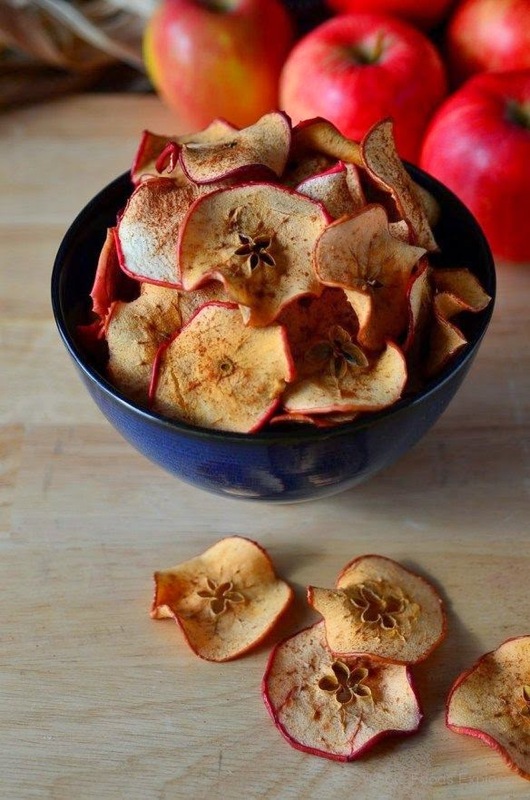 Sprinkle cinnamon over apples(Optional). Bake for approximately 1 hour, then flip. Continue baking for 1-2 hours, flipping occasionally, until the apple slices are no longer moist. Store in airtight container. (If you are short on time or impatient like me ;), you can dehydrate the apple slices in the microwave for 3min and bake at 200c for 5-10mins!). 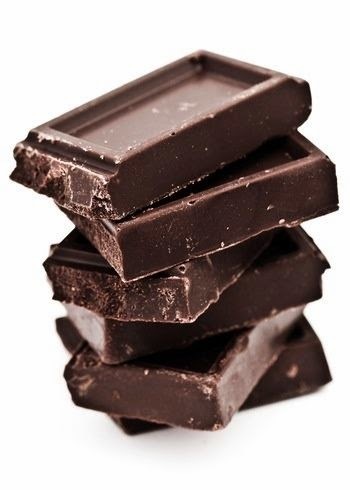 I love chocolate and have some daily, when travelling it is very likely that the chocolate options you will come across will be full of sugar fat and many nasties. I always try to have a bar of my favourite dark chocolate in my handbag, it takes a block to satisfy most chocolate craving and if you have 70% dark chocolate and over you are on the right track. I always try to have pre-cut veggies in my fridge for the munchies, I also pack a couple of mini bags for long journeys. 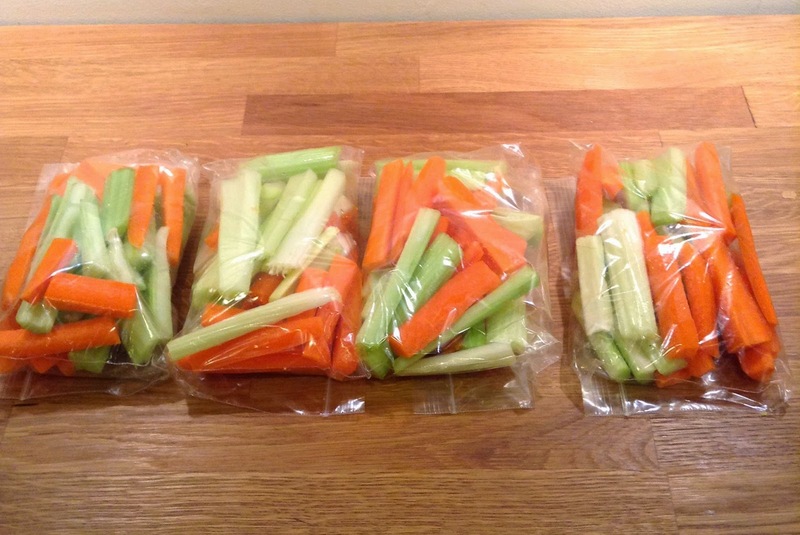 These carrots and celery packs satisfy the 'crunchies'(craving for crunchy foods), you can have them with some peanut butter hummus or salsa; when I am travelling I like having them on their own as dips can trigger other cravings(from experience). I am a huge fan of these cookies, they are super healthy, very filling and a great travel snack. They are sooooooo easy to make, all you need is 1 cup rolled oats + 1 banana + 1 min in the microwave. You can also bake them at 200c for 10-15min. I made some for my trip to Nigeria a few years ago, my sisters loved them and made different variations. You can add peanuts, raisins, chocolate chips, you can even put the ingredients in a blender and make some pancakes. Gosh writing about this making me hungry. Anyways guys these are some of my favourite travel snacks, I would love to hear from you, what snacks do you like to have when travelling? Girl, these are some great snack choices!!! I already feel hungry. My oven is a disaster and half, otherwise I'd like to try the chickpeas snack. You can do the chickpeas in a microwave as well. Sigh. Nemi do u archive ur recipes?